Celebrate the agelessness of falling in love with this later-life romance. 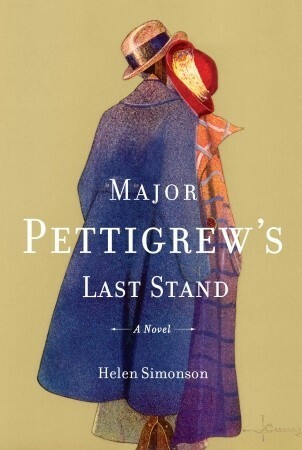 Widowed from long, happy marriages, retired Major Ernest Pettigrew and Pakistani shopkeeper Mrs. Jasmina Ali are charming, proper and delightfully quick-witted. In Austen-esque Edgecombe St. Mary, an English country town steeped in tradition, locals are uncomfortable with any change that challenges their conservative way of life. Predictably, this opposites-attract romance is thwarted by both society and family, particularly by the Major’s despicably pretentious son and the righteous Alis. In this stellar debut novel, Simonson depicts an enviable stage in life when one’s happiness trumps the approval of others, but not without a price. Touching on issues of class and cultural bias, at its core, this is a tale of a fortunate second chance at love.